Daily Dose: Sylvan Esso feat. 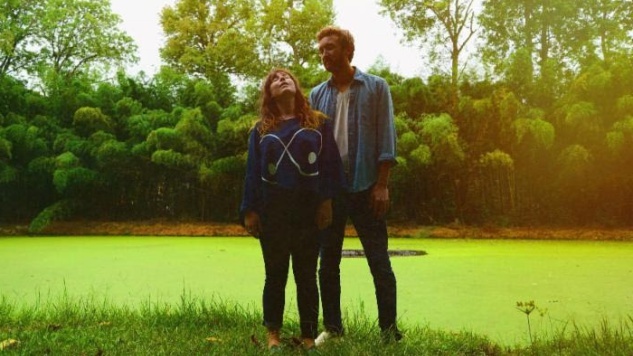 Collections of Colonies of Bees, "Funeral Singers"
Sylvan Esso have had a busy summer. The electro-pop duo, made up of the husband-wife team Nick Sanborn and Amelia Meath, have toured extensively in support of 2017’s What Now, including headlining spots at the Greek Theatre in Los Angeles, Red Rocks Amphitheatre and more. In the midst of all their touring, they still somehow found time to get in the studio and record new music. Their latest single “Funeral Singers” is a cover of Califone’s indie-folk anthem, and was recorded in Wilco’s Chicago studio The Loft with tourmates Collections of Colonies of Bees. Sylvan Esso’s version finds a way to gorgeously translate the original’s dusty, lo-fi heartbreak into a smooth-edged, yet equally emotionally powerful electro-pop ballad. What separates Sylvan Esso’s “Funeral Singers” from the original is not just the instrumentation. There’s a sense of community, a feeling of reaching for the company of friends even as you’re falling deeper into despair. Where the original is forlorn and hopeless, Sylvan Esso’s has a tinge of possibility. Meath’s voice seems to find solace in the phrase “all my friends,” not just because of her husband and bandmate, but because of the presence of Collections of Colonies of Bees, as well, and the meaningful connections between the two groups (Sanborn was a member of Collections, and Chris Rosenau of Collections is a founding member of Justin Vernon’s Volcano Choir, who brought Sylvan Esso out on their first tour). Those connections are what drives this version. When Meath sings, “All my friends are funeral singers,” it’s that first part that she’s focusing on. The duo will continue their tour through the fall. Watch the video for “Funeral Singers” below and scroll further for a full list of the band’s tour dates.